Please join the RMHUC on Sunday, August 26 at 1 pm for a special private lecture about monarchs, followed by a tour of the Butterfly Pavilion. Staff lepidopterist Sarah Garrett will give a general overview of Lepdioptera and where monarchs are classified within this order of insects. 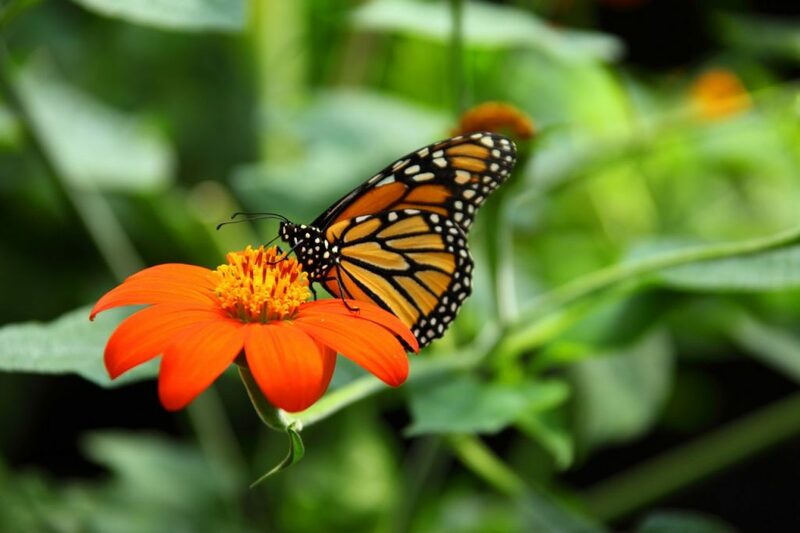 She will discuss details on the monarch life cycle, migration, locations throughout the world, conservation needs, and what you can do to help monarchs in North America. She will also be able to answer questions from the group about monarchs. Following the presentation, the group will visit the conservatory, which should have monarch butterflies (and many other species of insects) to enjoy. The cost is $15 for adults, $13 for seniors, and $11 for children (ages 2-12), and includes both the lecture and entrance into the Pavilion. Attendees will meet outside the front entrance to the Butterfly Pavilion around 12:45 pm so that we have time to gather the group, enter the museum, and get to the classroom by 1:00. If you have any questions, feel free to call Christina Gomez at 720-231-0746.